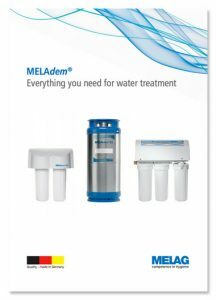 Meladem 40 is a water treatment unit that supplies high quality demineralised water for the cleaning, disinfection and sterilization process. The direct water connection is convenient, economical and easy to operate saving you from manually filling the tank. 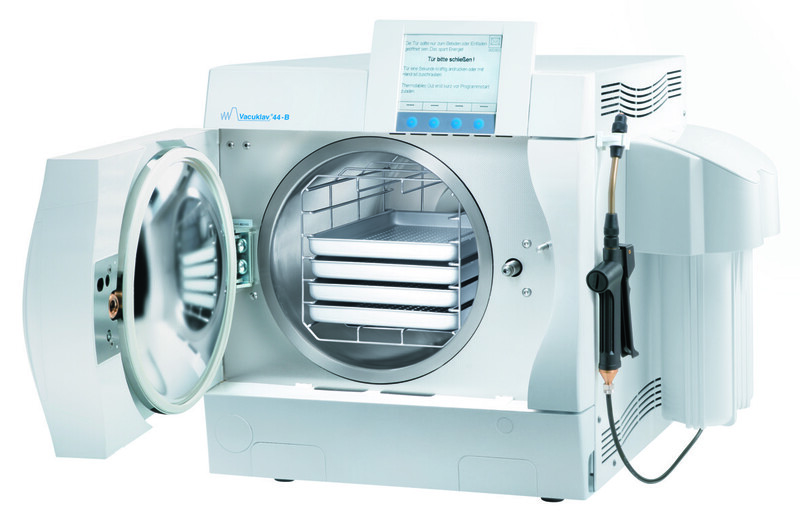 This unit is recommended for practices that sterilise around 3-4 times per day. The filter works in accordance to the ion exchange principle. Ions contaminating mains water (e.g. calcium, magnesium etc.) are exchanged for hydrogen and hydroxide ions. Question: How often should I change the filters? How often you change cartridges depends on the water quality in your area and how often you run cycles. The cartridge for the Meladem 40 MEL-6102 is available in a pack of 2. It can be changed anywhere from 3 months to 1 year. We recommend you keep a spare set. Your technician will demonstrate how easy it is for one of your staff members to change these.